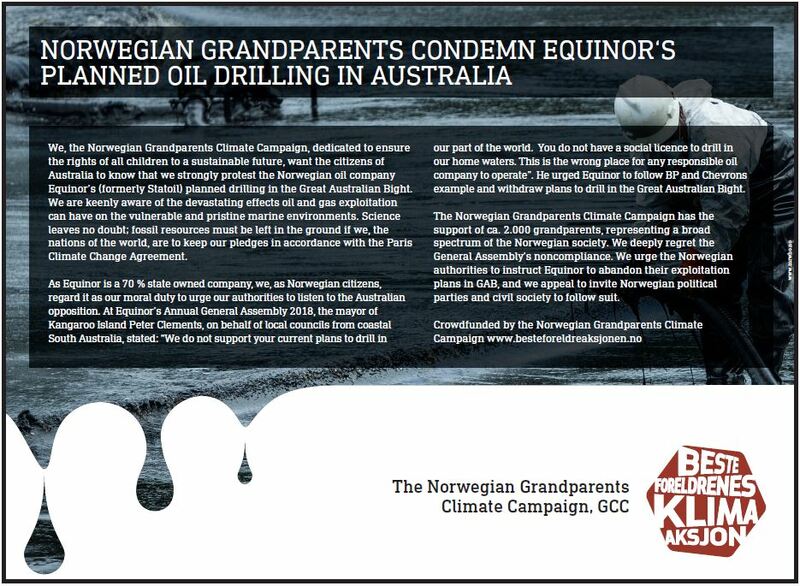 In Norway, Grandparents Climate Campaign (GCC) collaborates with a wide range of like-minded partners, such as environmental, youth and church organizations, trade unions and other members of the National Climate Alliance. Jointly we take action, voice opinions and create public debate, all with the aim of encouraging ever more voters to urge Norwegian politicians to implement the kind of national, constructive and science-based policies that our common Earth desperately needs. 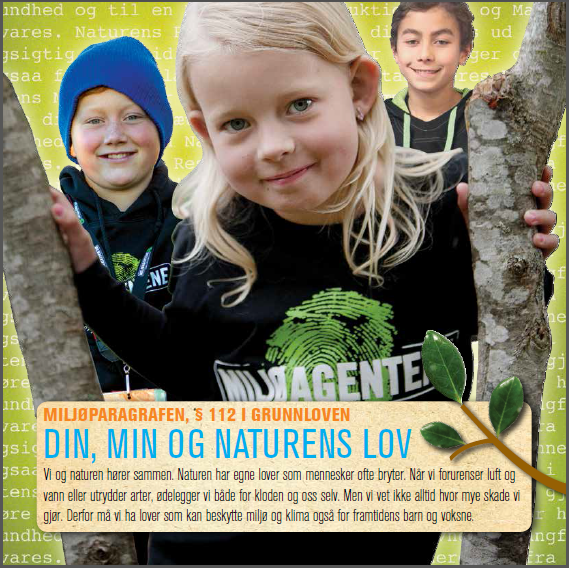 In an effort to make the Eco-Article of or Constitution more widely known, the Grandparents and their partner Eco-Agents (organization of Norwegian children) in 2014 produced the four-page pamphlet entitled “Yours, mine and Nature’s law”, funded by Unesco. It was presented to all members of Parliament, and distributed to pupils in schools and in public libraries across the country. Norway’s geographical position on the rim of the fragile Arctic gives us a particular responsibility for guarding and protecting the natural treasures of the Earth’s northern regions. The oil and gas addicted economy of Norway depends however, on new wells being opened and exploited. Withdraw the company from polluting and unprofitable ventures, such as tar sand in Canada and fracking in the USA. Terminate exploration for new oil and gas sources nationally and globally, including New Zealand. Increase the focus on New Energy Solutions with a tripling of investments in renewable energy from NOK 1.7 to 5.1 billion by 2024.